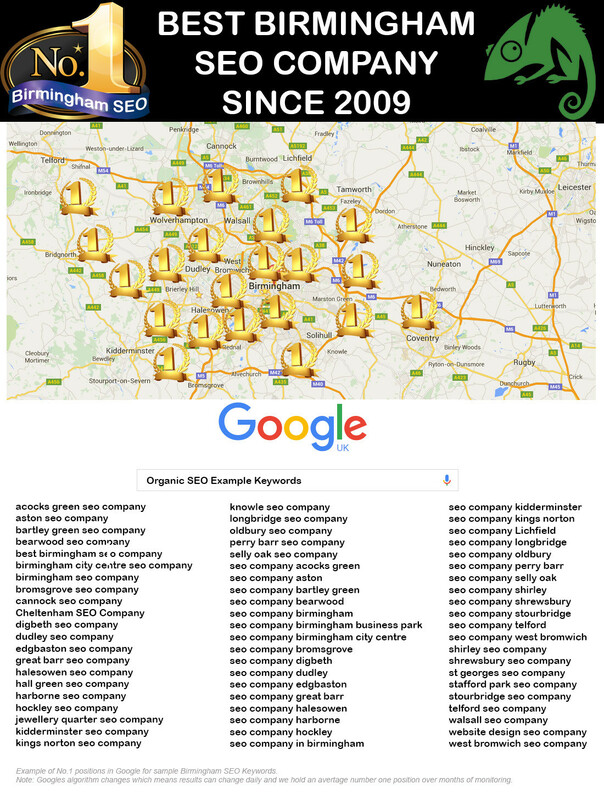 There are so many SEO companies in Birmingham that suggest they are the leading company to choose for SEO services. This makes it difficult to understand who to trust in an area most business owners have little knowledge. To make matters worse there are a lot of SEO companies that are setup to generate high profits with zero results for clients and the horror stories and experiences making it difficult for the genuine companies like Chameleon to obtain trust from the beginning until we have earned it. We have been in business since 2001 which was really the start of the Internet as we know it. We have seen all the changes and been part of them all. Chameleon has been providing SEO services since 2008 and ranked in top position for most of the Birmingham related SEO keywords since 2009. With all the changes that Google have made over 2012 and 2013 and with the continued rollout of improvements it is important to know about what this has meant to SEO companies. In 2016 SEO is more difficult that 2009 and also Google has changed with less organic positions available due to additional Google products taking place on page one. 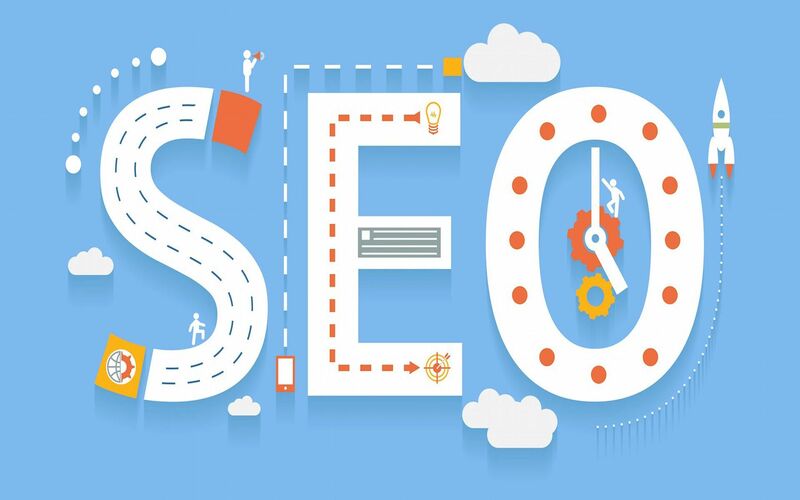 Today is much more difficult to rank on page one of Google and being as SEO companies should be the leaders in achieving Google rankings, after all this is what we do as a job it is important to ensure the SEO company you are going to use understands how to achieve rankings for themselves. Many SEO companies use Adwords to achieve results on page one and unaware business owners find them and believe they are going to be able achieve ranking improvements for their business. However the very fact the company is using Adwords to appear on page suggests they are not able to deliver organic ranking improvements. Adwords also comes with a large overheads due to the costly nature of this industry creating cost per click costs of over £10.00. This cost is passed onto the SEO company clients and means this is a costly exercise for a business owner to learn from. Chameleon works hard to understand what Google needs to be able to achieve high rankings within organic search results. We have test websites monitoring changes and clients in all sectors of the Internet making our data so valuable to success. Our testing is methods is also what we use to achieve our own rankings and we have ranked in top 3 positions of Google organic search results for most of the Birmingham areas and the major SEO keywords that attract high volumes of search traffic. The image above shows an example of keywords we rank for in the organic search results of Google. We have been able to achieve number one rankings across most of Birmingham. Our SEO methods do not cheat and follow what the Google algorithm needs making sure we do all we can to stay with Google’s guidelines and it is for this reason we have never been hit with a penalty for trying to cheat unlike most of our SEO company competitors. We have not had to change domain name due to issues and also due to our in-depth knowledge we have also been involved in the recovery of problems that SEO companies have caused. We rank No 1 globally for “Google penalty advice” and our work in this area enhances our knowledge of what not to do and what SEO companies not to trust in. Unlike some of the competition in our industry we put clients first and work hard to achieve results that make happy clients. The ethos of Chameleon is to add value to clients and grow with them understanding the business changes that take place and always being at hand to offer support and assistance when needed for anything Internet related. We have become the supporting support for some of the leading brand names in the UK and our client base of companies that trust us to work with them sends a clear signal of high quality and professionalism. Find out what Chameleon can do for your business online.